Save the Date! The Catfish Conference 2017 is arriving in Louisville, KY for its second edition. 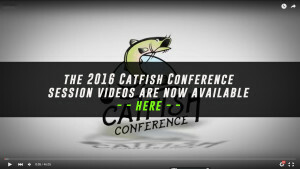 After the huge success of the first Catfish Conference 2016 with over 35 vendors and over 1800 visitors coming from 21 States, we are proud to announce the second edition of the Catfish Conference. As the importance of this event is growing fast, we selected Louisville, KY, and the Crowne Plaza (Louisville Airport) Conference Center to host the next edition of our Catfish dedicated event. With over 15’000 square feet of exposition and multiple conferences, get ready to be blown away with the quality of the amenities we were able to negotiate and with all the catfish community we are about to gather. For two days, Louisville is going to be the Catfish Capital of the United States of America. Join the sensation, be a part of history and come with your family enjoy one of the fastest growing sports and community! Stay the night at the Crowne Plaza Louisville Airport Hotel for only $109 when you book through the link here below. We have negotiated a special price way in advance to get you the best quality hotel at a truly affordable rate. Enjoy a high end location, with Gym, Swimming Pool (heated and covered in winter), great restaurants and much more at our official partner hotel. The Catfish Conference rooms are limited – book now (Click Here or on the image above) to make sure you get the best deal!